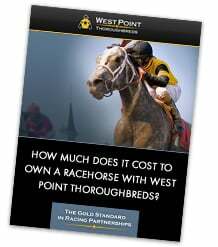 West Point Thoroughbreds celebrates its 25th anniversary this year. We owe our success to our horses and loyal Partners, the people who have grown the company into one of the leading racing syndicates in the country. It all started back in 1991 with an Army captain who was determined to build and live the American dream. Horses can take people on incredible journeys and change their lives. The West Point team looks forward to the next 25 years of making memories on the racetrack and enjoying the camaraderie with our Partners. 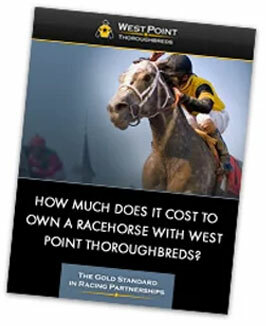 For new propsective Partners interested in becoming part of the next 25 years of the West Point Thoroughbreds family, get answers to the top question new people considering ownership ask us. We look forward to getting to know you! 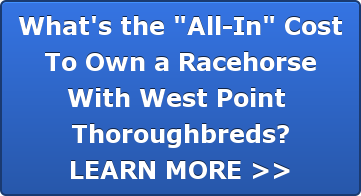 I am extremely honored to have been a partner in West Point Thoroughbreds. Thanks Bob Mangini West Point Thoroughbreds is a fist class operation and I wish only the best for the next 100 years. in the thoroughbred racing world!!!!! It really went by fast. Hope you both have many more, including some Derby winners!!!! !